Intensive Outpatient Group Therapy is designed to meet each client’s need with the level of support necessary to begin their personal transformation. Within the confines of a safe therapeutic atmosphere, clients can relate to others and discuss challenges that are common to the group. Each client on their individual recovery journey can gain a deeper understanding of the disorder, while at the same time, providing support to and from others in the group. Outpatient Individual Therapy is used to address each person’s individual needs, to enhance motivation for recovery and to supplement strengths with tools for growth. 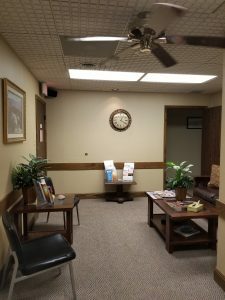 We strive to maintain the highest quality of care through honesty, respect for the individual and direct and open communication between our clients and the treatment staff. Certified Recovery Specialist Services are used for assistance accessing various community resources such as education, housing, transportation, recovery supports, etc. CRS services also include guidance on the recovery process and recovery education, telephone recovery support, and assistance in building life skills such as budgeting, job searching and interviewing skills. A Certified Recovery Specialist is an advocate, a motivator, and a guide. A CRS is not a sponsor, a counselor, a priest, or pastor.